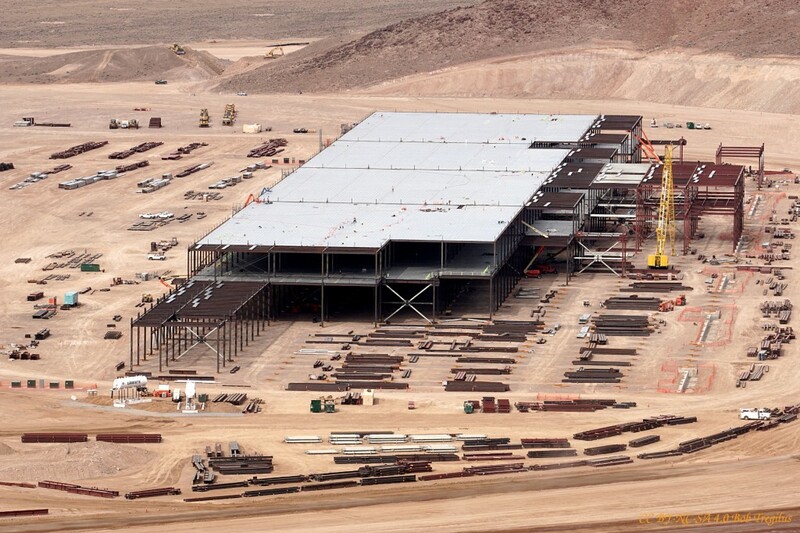 The Tesla Gigafactory, currently under construction in Storey County, Nevada. Andrew Critchlow, Commodities Editor at The Telegraph, speculates in a recent article that Elon Musk and Tesla might “save the mining industry” by ushering in a new age of renewable energy. Domestic battery power production at the Tesla Gigafactory (now scheduled to go into production in 2016) is bound to create such demand for lithium, nickel and copper, Critchlow thinks, that the mining industry will find a way out of its current (price) slump and into new growth, or possibly a new supercycle. “Major mining companies are already ‘future proofing’ their businesses for climate change by focusing more investment into commodities that will be required by the renewable energy industry,” writes Critchlow; and the “smart commodity investor” will follow suit, with investments in “leading producers” such as — this is Critchlow’s list — Freeport-McMoRan, Lundin Mining and Fortune Minerals. It’s a credible scenario, but it’s also terribly short-sighted. The big switch over to domestic solar power and battery storage Musk is hyping in the run up to the opening of the Gigafactory would no doubt give miners a short-term boost, but it will also take a lasting toll on the places where copper and nickel are mined, raise serious human rights concerns, and put even more pressure on the world’s freshwater resources. After all, the copper and nickel used to make Tesla’s batteries are going to come from places like the Democratic Republic of Congo, where Lundin and Freeport-McMoRan operate a joint venture at Tenke Fungurume, and which has been at the center of the recent debate in the EU parliament over conflict minerals; Peru, where protests against Southern Copper Corporation’s Tia Maria project led the government to declare a state of emergency in the province of Islay just last Friday; or the nickel and copper mining operations around Lake Superior that I’ve been following here, where there are ongoing conflicts over free, prior and informed consent, serious concerns that sulfide mining will damage freshwater ecosystems and compromise one of the largest freshwater lakes in the world, fights over haul routes, and repeated complaints of lax regulatory oversight and political corruption. These are just a few examples that come readily to mind. It wouldn’t take much effort to name others (Oyu Tolgoi, Oak Flat, Bougainville) and to see that the same problems arise, to a greater or lesser degree, no matter where copper and nickel mining — sulfide mining — is done. The mining industry and commodities investors have historically tended to minimize and marginalize the environmental and social costs of sulfide mining; so it’s really no surprise that Critchlow should argue that increased demand by battery producers is all it will take to “save” mining. Leave it to others, I guess, to save the world. But the supply and demand model is reductive and misleading, even for those looking to make a fast buck. A recent Harvard study of company-community conflict in the extractive sector summarized by John Ruggie in Just Business suggests just how costly conflict can be. 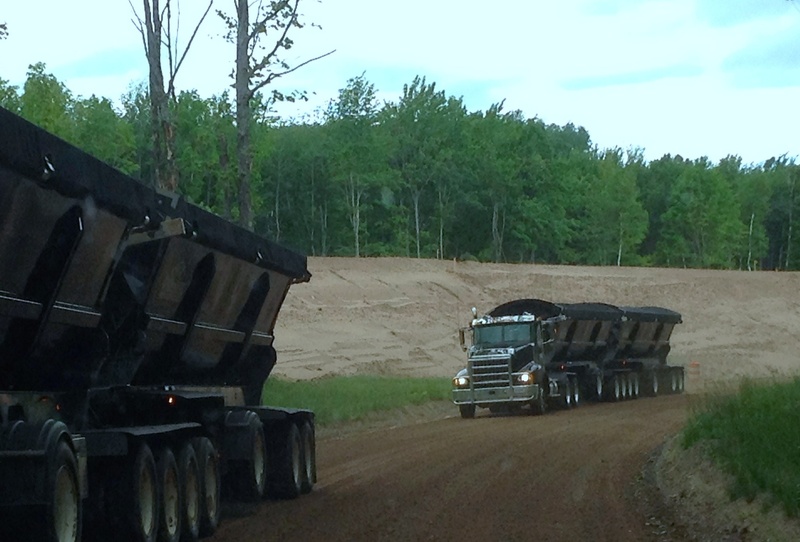 A mining operation with start-up capital expenditures in the $3-5 billion range will suffer losses of roughly $2 million for every day of delayed production; the original study goes even further, and fixes the number at roughly $20 million per week. Miners without authentic social license to operate lose money, full stop. So Critchlow’s is at best a flawed and myopic investment strategy that ignores significant risks. 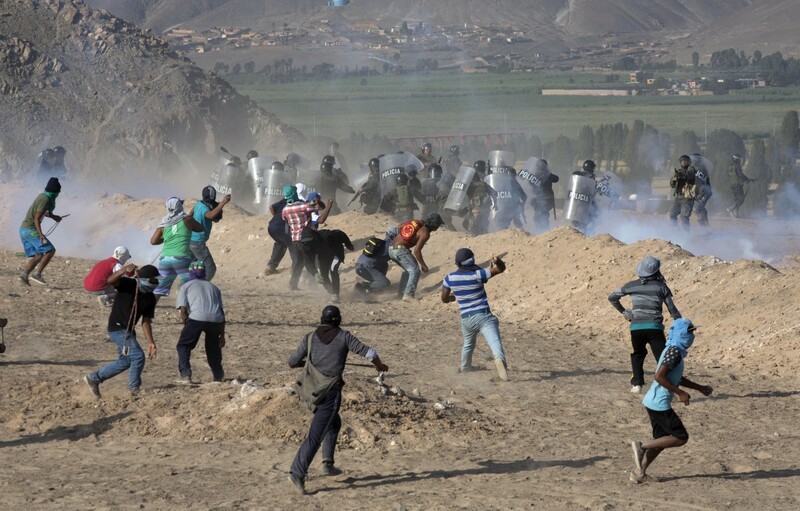 It also appears to shrug off legitimate human rights claims, and turn a blind eye to environmental degradation, and deadly violence of the kind we’re seeing in Peru right now. That’s irresponsible, if not downright reprehensible. A Macquarie Research report cited by Critchlow claims that the switch away from fossil fuels to battery power in the home is all but inevitable. But if we make the switch to renewables and fail — once again — to address the ethics of mining, what exactly will we have saved? This entry was posted in Business and Society, Governance, Human Rights, Lake Superior, Prosperity and tagged Andrew Critchlow, business and society, Commodities, conflict, conflict minerals, copper mining, corporate governance, corporate power, corporate social responsibility, Eagle Mine, environmental ethics, environmentalism, ethics, Fortune Minerals, Freeport McMoRan, freshwater, human rights, investing, Islay, John Ruggie, Lake Superior, Lundin Mining, Macquarie Research, mining, nickel mining, Polymet, responsibility, responsible investing, Shefa Siegel, social conflict, social license, Southern Copper Corporation, sulfide mining, Tenke Fungurume, Tia Maria, violence, Water on May 27, 2015 by lvgaldieri.